Sophie's passion for makeup started the age of 10 by watching hours of makeup tutorials on YouTube. By practicing her skills every day she knew she wanted a career in the makeup industry. 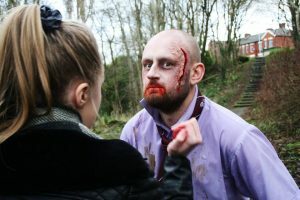 After finishing high school Sophie went on to study Level 3 Media Makeup at Salford City College. She achieved a double grade Distinction*. In November 2017 Sophie rejoined the MAC Cosmetics team at Selfridges Exchange Square. Here she is learning skills of selling MAC products, knowledge of products and knowing which products work best for the client. 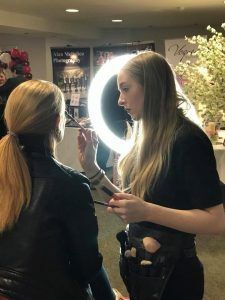 Sophie has worked with famous clients such a MTV's Sophie Kaseai, Former Premiership Footballer Fabrice Muamba and ITV Be's Dawn Ward, just to name a few. A future career Sophie has in mind is marketing within the makeup industry. Which is why she is currently undertaking an apprenticeship with her father's company, Rich TV studying digital marketing. After 12 months Sophie will have a Level 3 Digital Marketing qualification. Sophie gives a professional, friendly service to every customer but don't take our word for it. Click here to take a look at some of the testimonials Sophie has received. 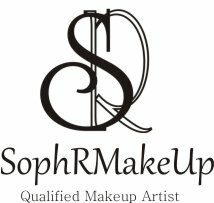 If you want to find Sophie she is based in a photographic studio/office in Stockport where her makeup lessons take place as well as wedding trials and photo shoots. Address for the office: 42 New Bridge Lane, Stockport SK1 2NA.